When an occasion needs a celebration, nothing quite satisfies like soft, perfectly moist chocolate-dipped cupcakes. 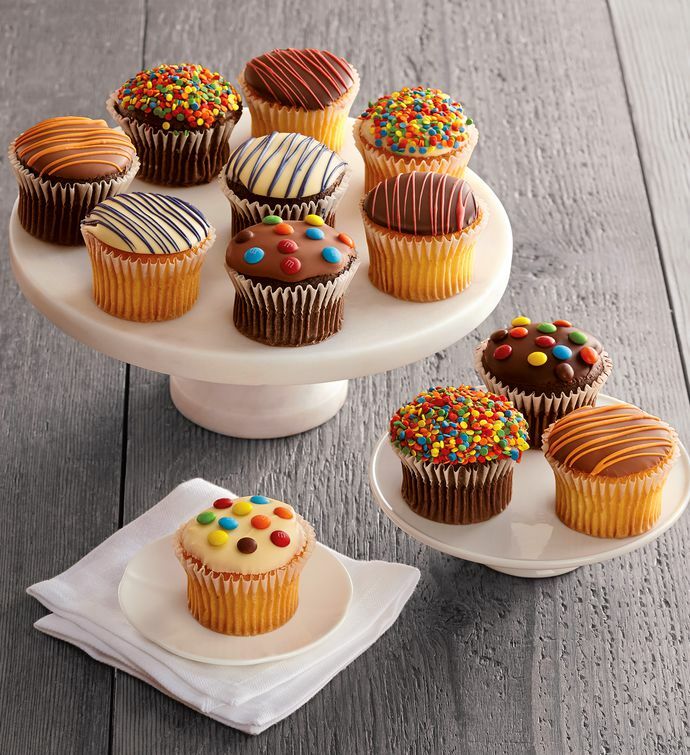 Among these delightful cupcakes are six classic vanilla cakes and six decadent chocolate cakes, each filled with rich buttercream frosting and then hand-dipped into a creamy chocolate. The cakes are then decorated, some with candy pieces, some with sprinkles, and others with colorful piping.